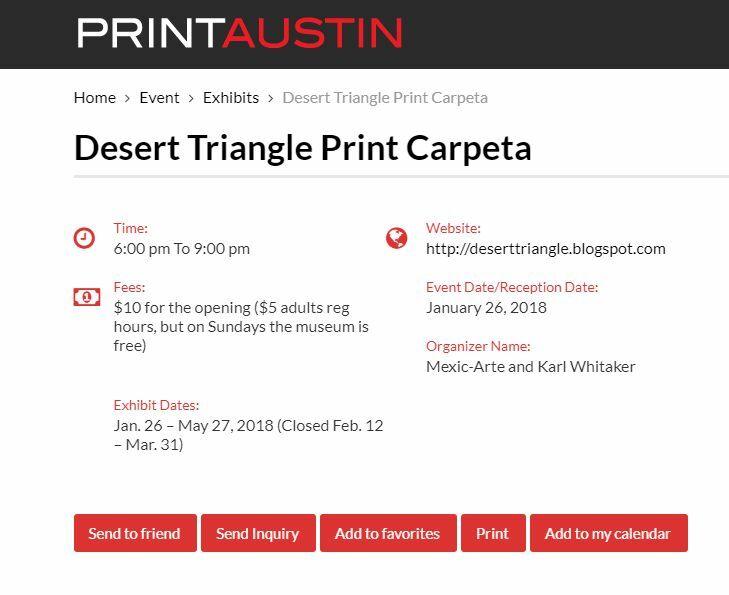 The Desert Triangle Print Carpeta will be showing at Mexic-Arte in Austin in January 2018. 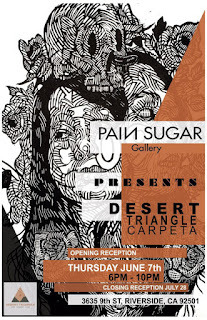 Mexic-Arte Opening Friday, January 26, 6 - 9 PM. 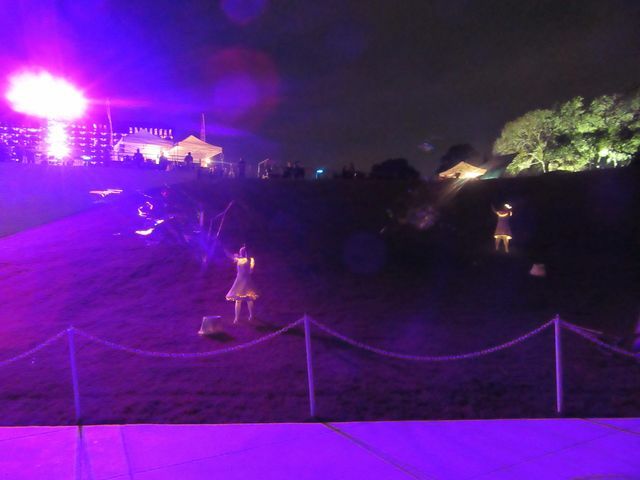 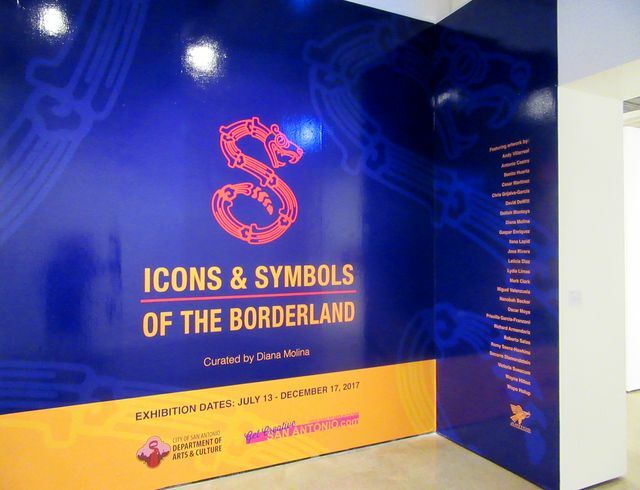 There is also a Facebook event for the opening of both exhibitions. 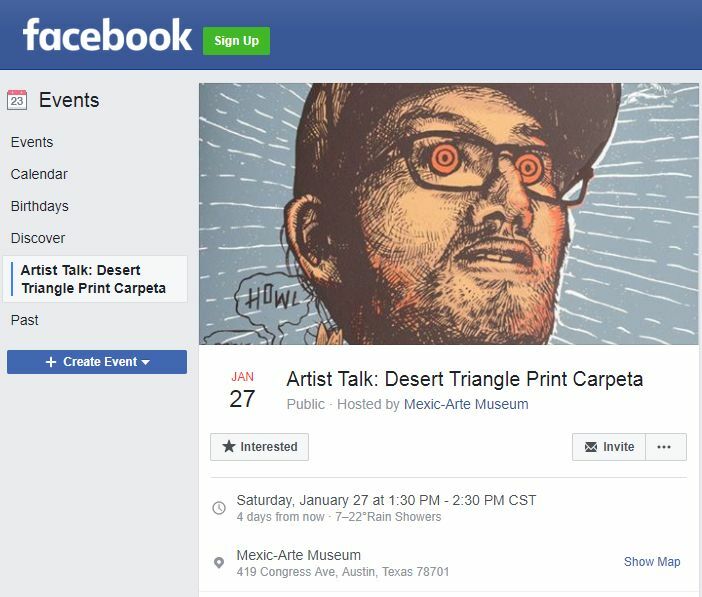 There is also a Facebook event for the brunch preceding the artist talk, on Saturday, January 27th, from 11:30 to 1:00 PM. 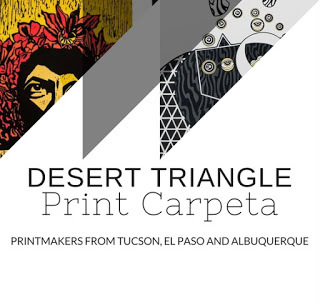 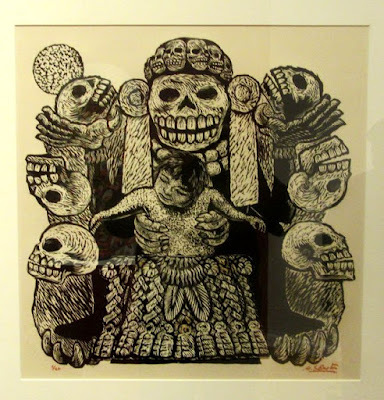 The Desert Triangle Print Carpeta exhibition will feature the work of 30 printmakers from Tucson, Arizona, El Paso, Texas area (including Ciudad Juárez, México, and Las Cruces, New Mexico), and Albuquerque, New Mexico. 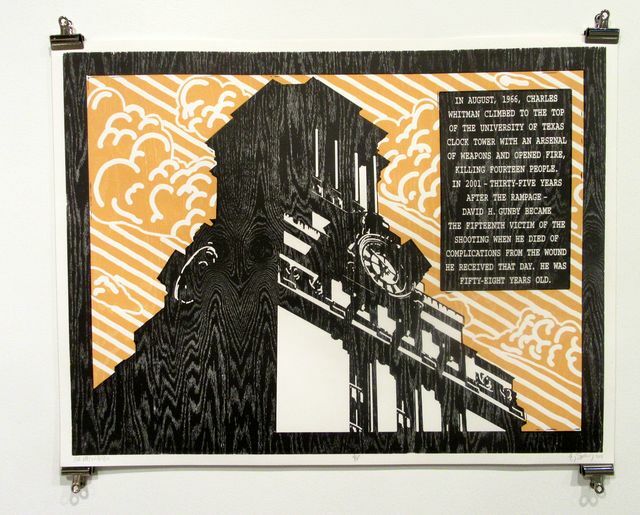 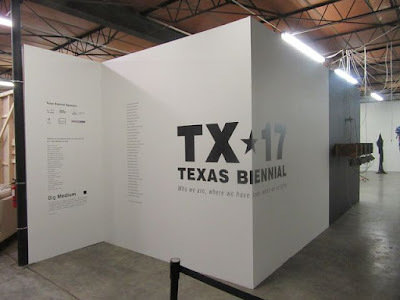 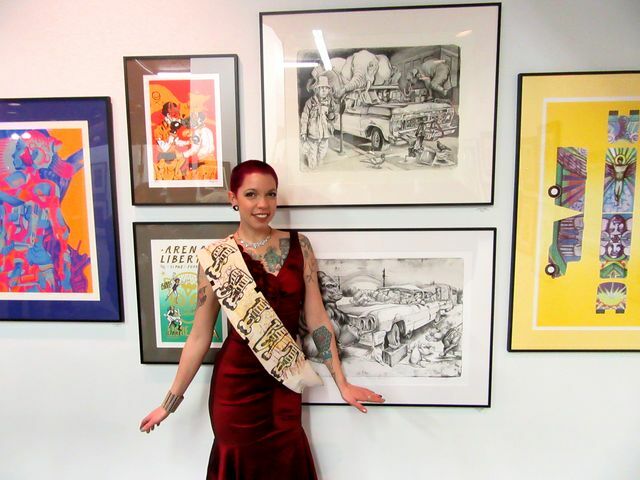 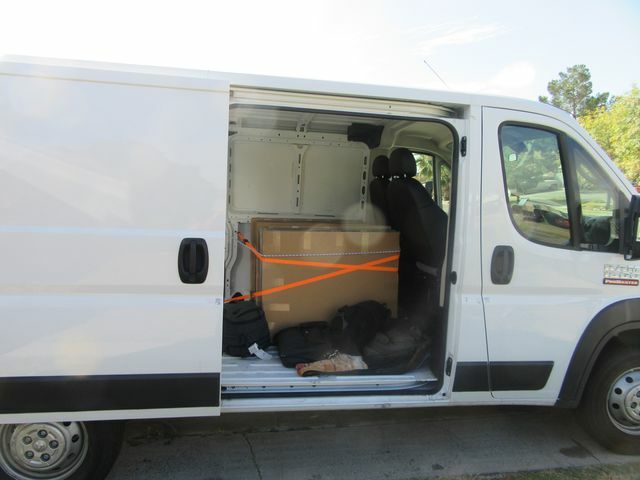 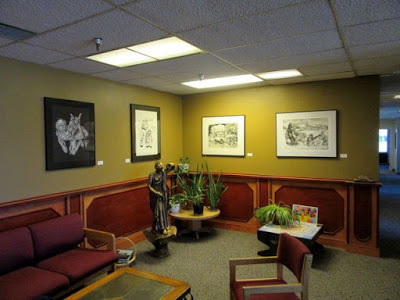 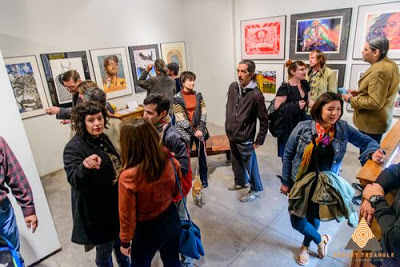 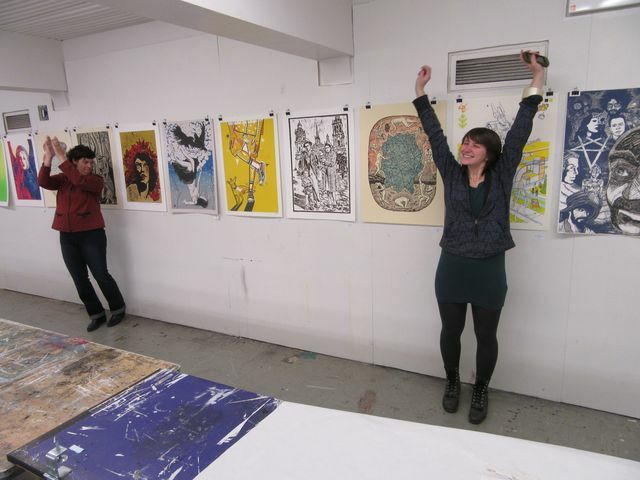 Organized by KRRRL (Karl Whitaker), the prints in this carpeta, or print portfolio, were produced in 14 different studios across the “desert triangle” region in 2015 with the objective to bring exposure to artists living and working in “the hottest, driest stretch of flyover country,” as Whitaker notes. 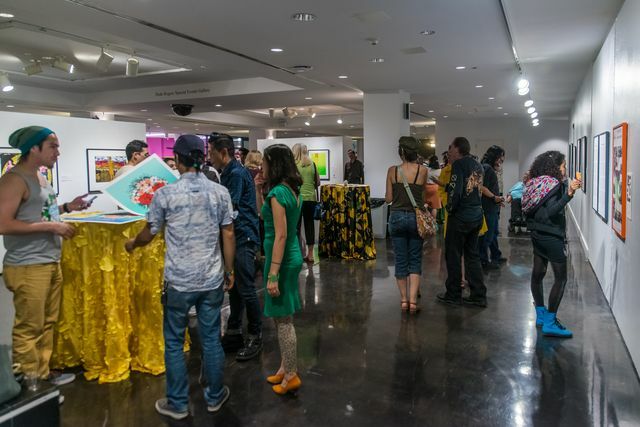 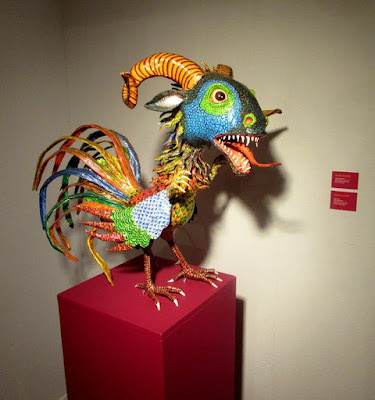 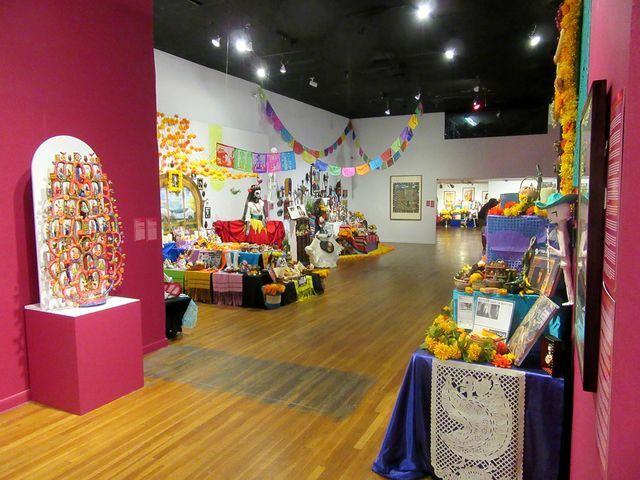 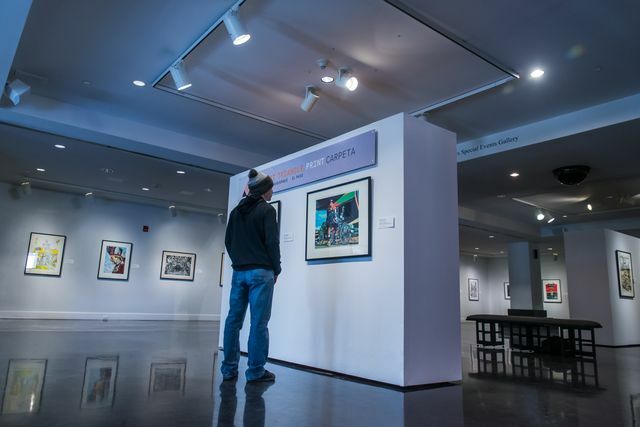 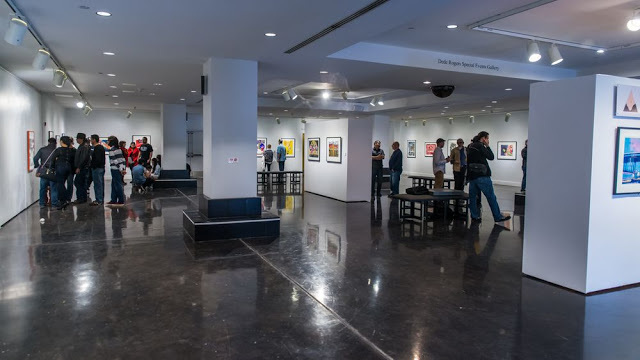 The artworks in the collection are vibrant in color and display a rich array of artistic styles and printmaking techniques while dealing with themes pertinent to the Southwest region, including diverse cultural narratives, border identity, and popular culture. 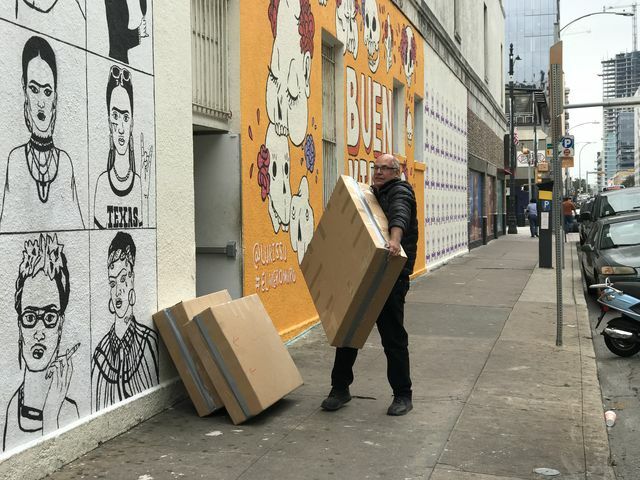 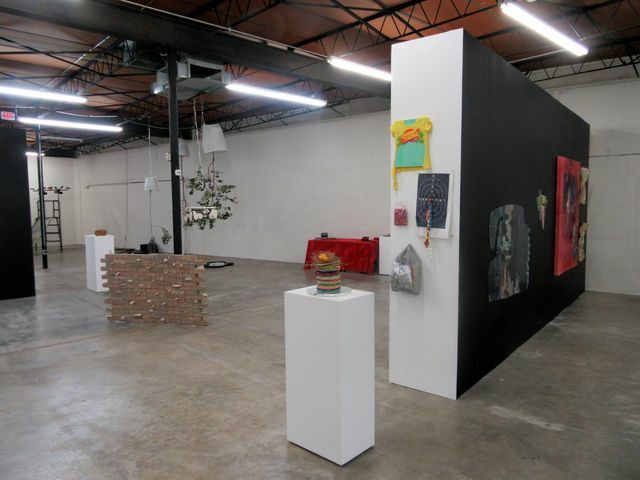 Additionally, three prints on display – KRRRL’s La chulada, Tanya Rich’s Receive the Desires of Your Heart, and Zeke Peña’s A Nomad in Love – will incorporate augmented reality through Augment El Paso’s self-titled application, which animates these works of art. 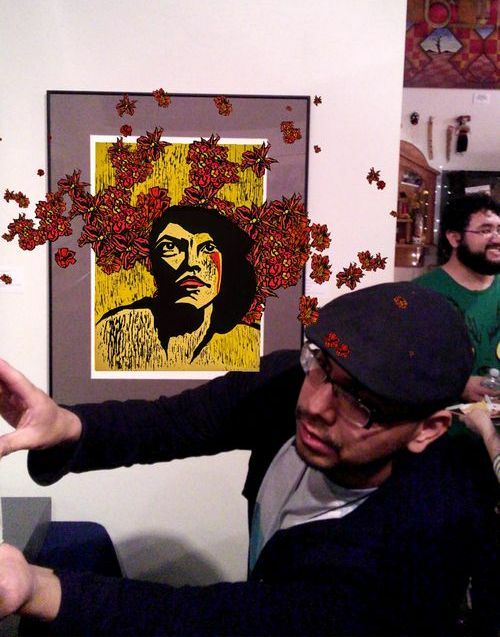 By using a smartphone or tablet, an augmented image becomes a multi-sensory and interactive experience for the viewer. 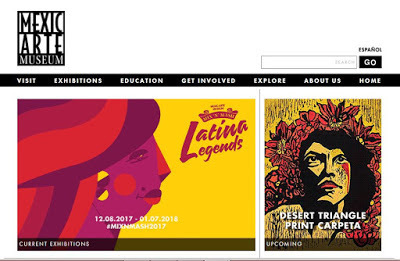 Through this unique feature, the app serves to bridge the gap between traditional print and interactive computer media. 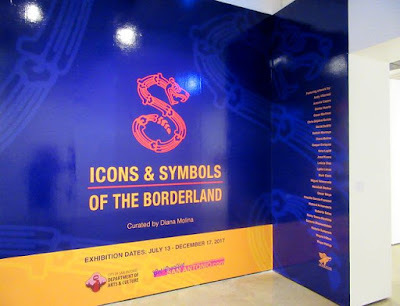 A special thank you to Karl Whitaker for his generous donation of this portfolio to the Mexic-Arte Museum Permanent Collection. 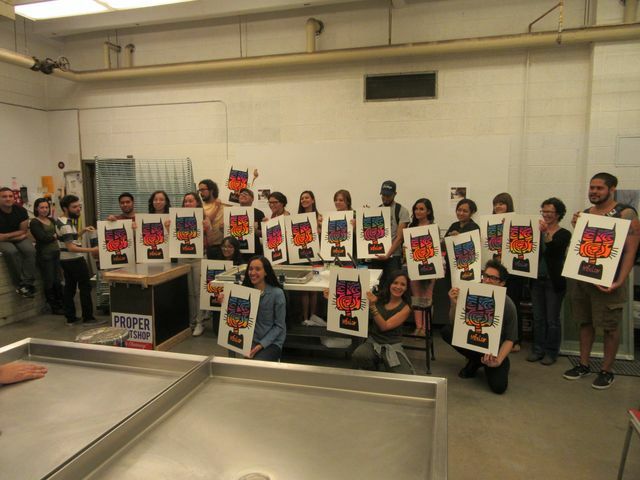 (Tucson, AZ) - Pável Acevedo, Cristina Cárdenas, Mark Christian, Michael Contreras, Gonzalo Espinosa, Rudy Flores, Joe Marshall, Lauren Moran, Ruben Urrea Moreno, Martín Quintanilla, Tanya Rich, Rogo, and Mykl Wells. 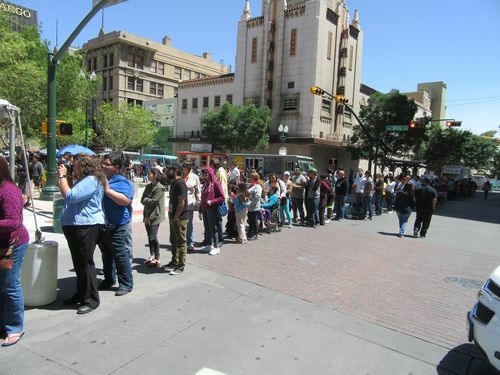 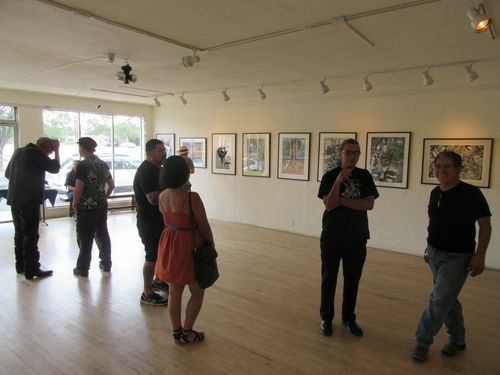 (Albuquerque, NM ) - Nanibah “Nani” Chacon, KRRRL, and Henry Morales. 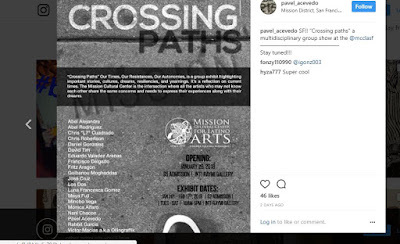 (El Paso, TX Area) - Jesus “Cimi” Alvarado, Chris Bardey, Francisco Delgado, Manuel Guerra, Jellyfish Colectivo, Los Dos, Raul Monarrez, Victor Muheddine, Albert “Tino” Ortega, Zeke Peña, Matthew Poe, Tim Razo, Federico Villalba, and Yorch. 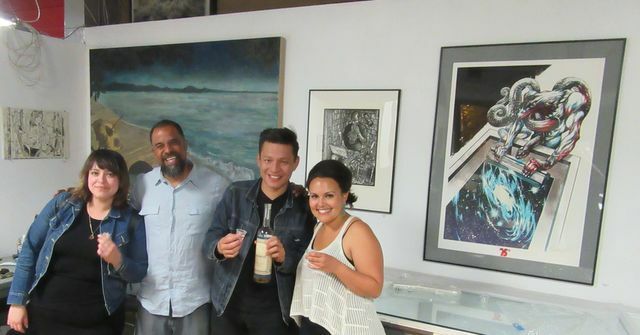 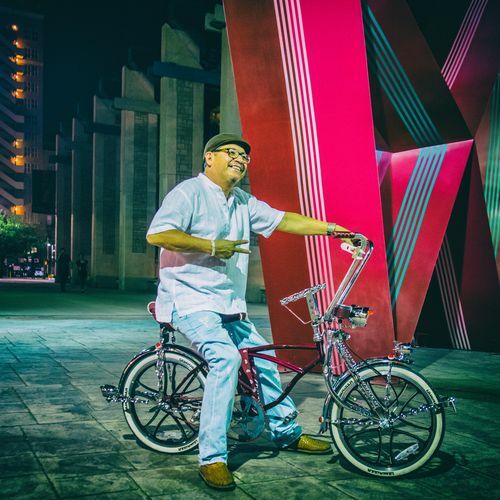 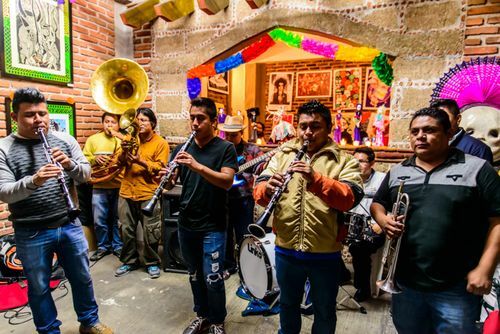 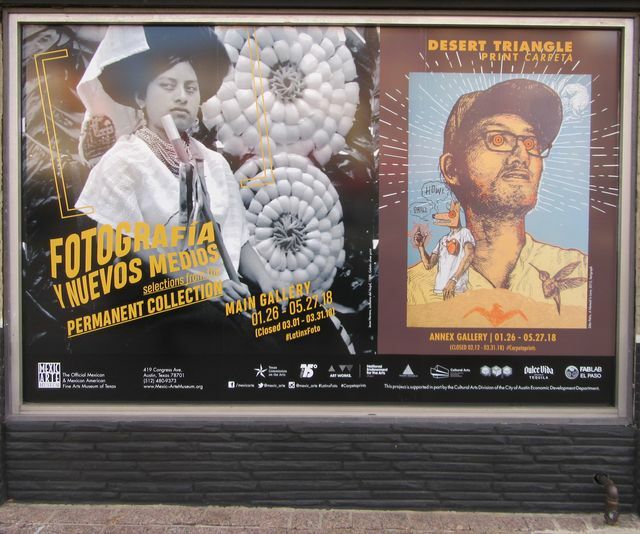 About: Join us for the opening reception of Fotografía y Nuevos Medios: Selections from the Permanent Collection and Desert Triangle Print Carpeta exhibitions, with live music, and specialty drinks generously provided by Dulce Vida Tequila! 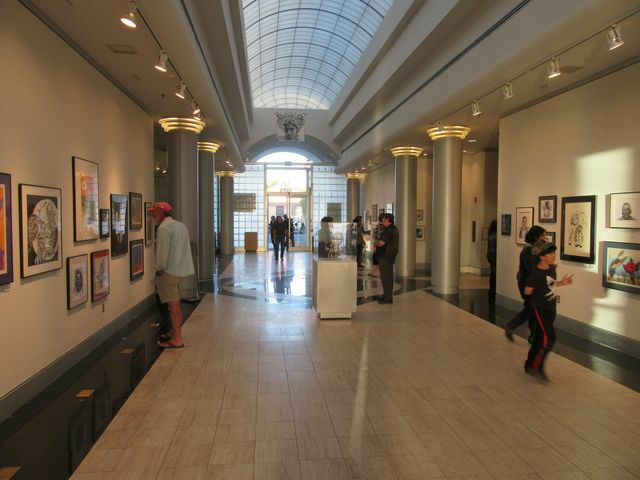 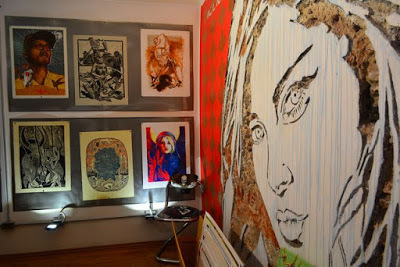 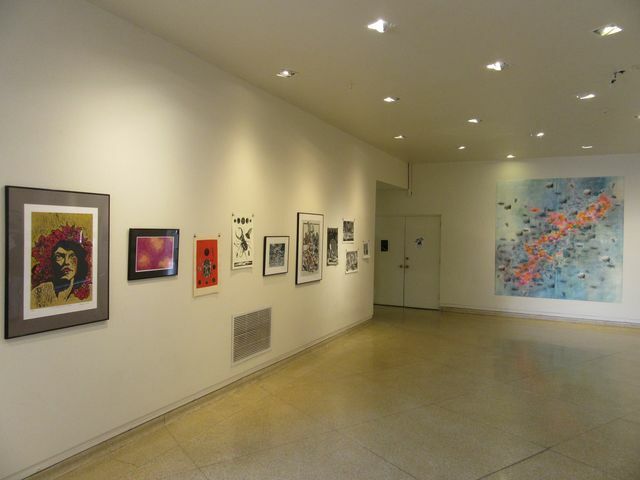 About: Museum Members are invited to brunch and meet the creative minds behind the exhibitions and artworks on display. 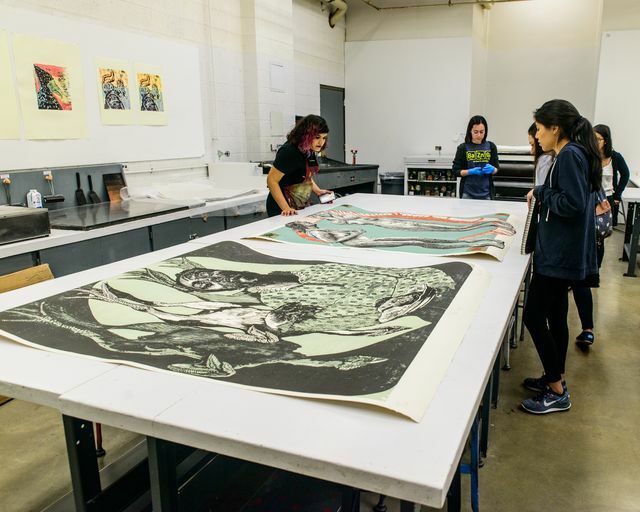 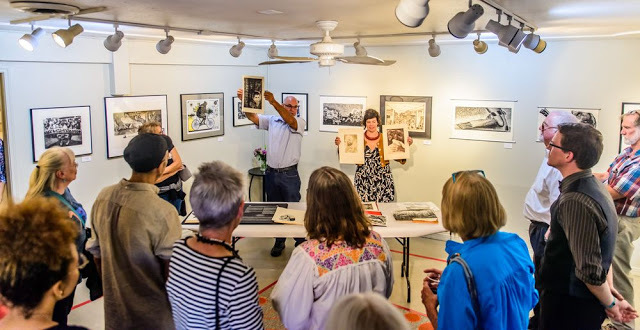 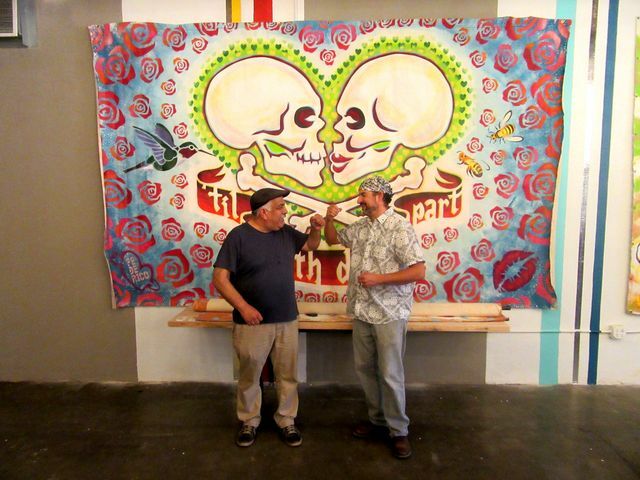 Stick around following the brunch for an artist talk with the organizer and artists from the Desert Triangle Print Carpeta. 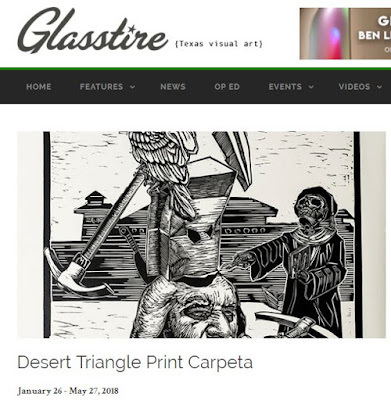 About: Desert Triangle Print Carpeta organizer, Karl Whitaker, and artists will give an artist talk where visitors can learn more about the project, the artistic processes, and inspiration behind this unique printmaking project. 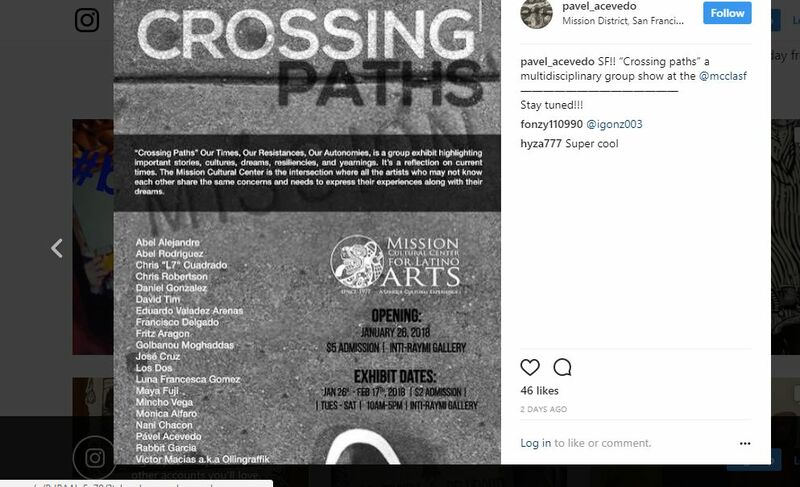 Also, in San Francisco, 4 of the Desert Triangle artists -- Los Dos, Francisco Delgado, Nani Chacon, and Pavel Acevedo -- will be in an exhibition at the Mission Cultural Center for Latino Arts -- "Crossing Paths" -- opening on the same night, January 26, 2018. 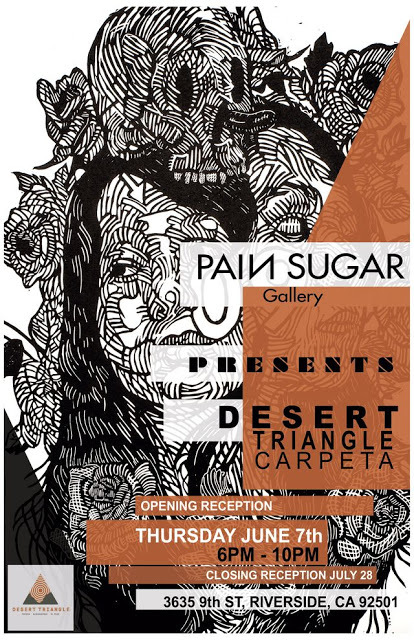 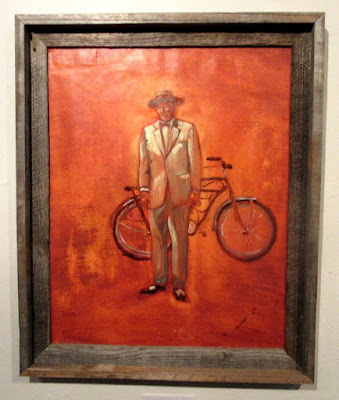 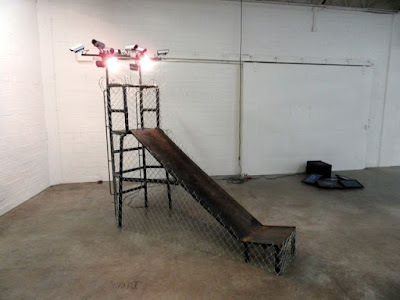 Also note that opening the same night there, is a show of the work of the late Michael Roman -- "Stenciled Visions," curated by Juan Fuentes-- who was a big inspiration for the Desert Triangle, from long ago. 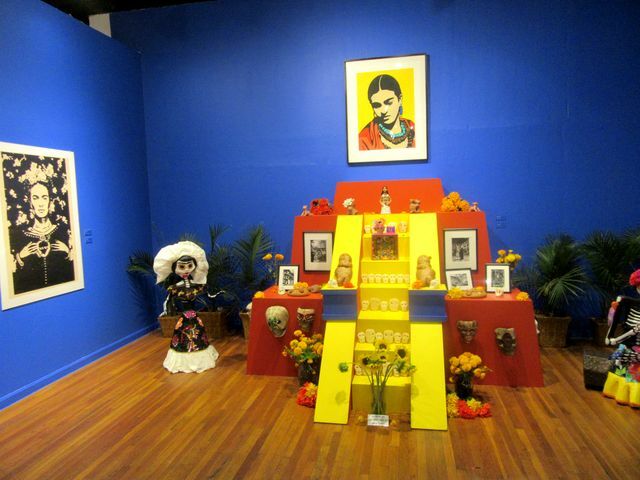 The Day of the Dead altars -- in the Love to Death: Community Altars exhibition --were still up when we delivered the prints to Mexic-Arte. 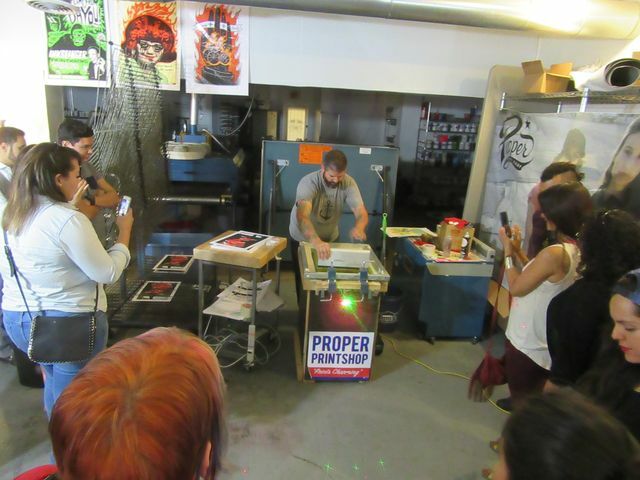 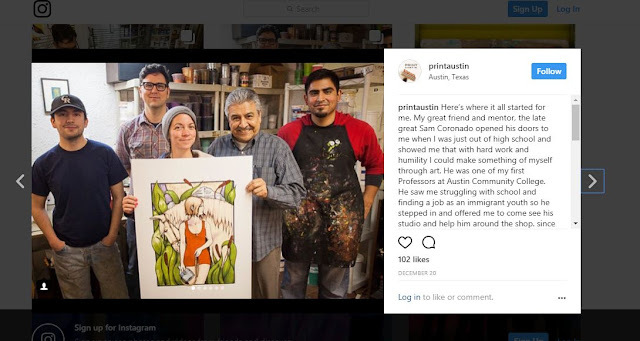 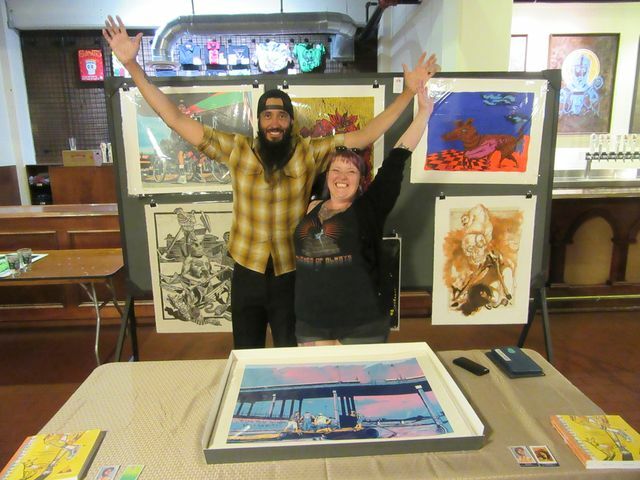 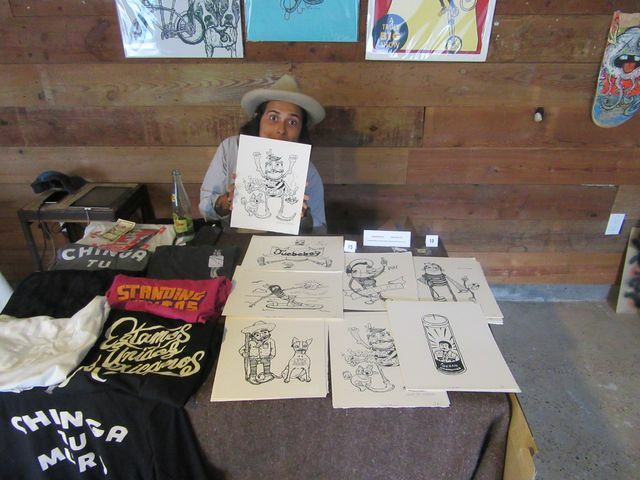 We had a great art adventure in Austin and San Antonio after dropping off the framed prints in Austin. 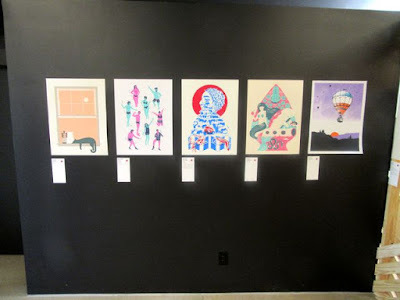 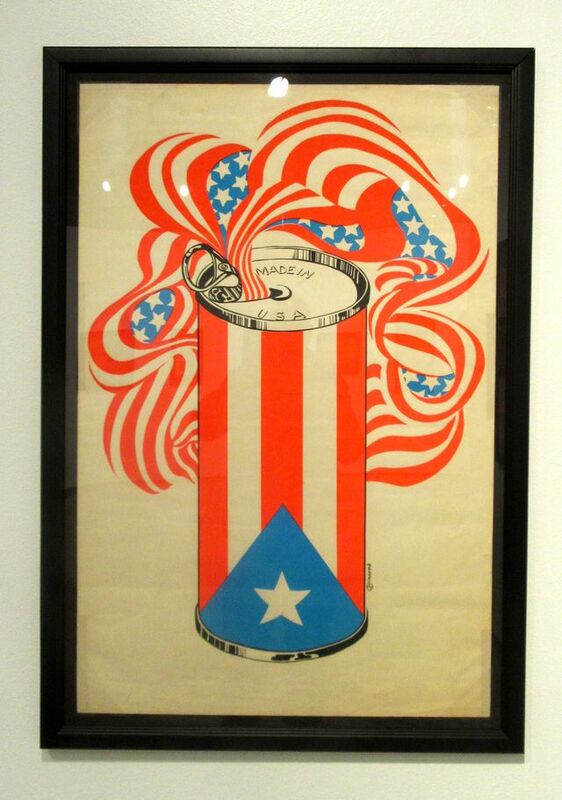 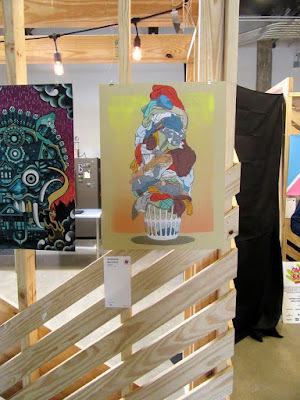 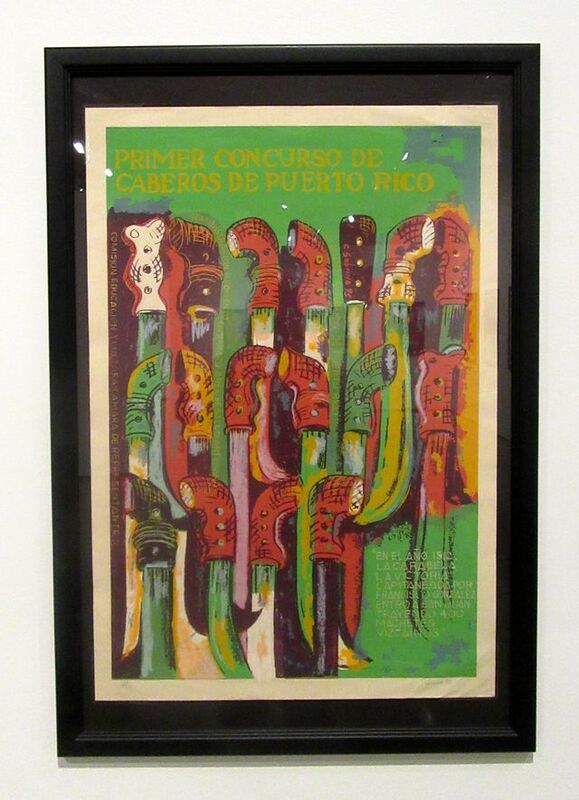 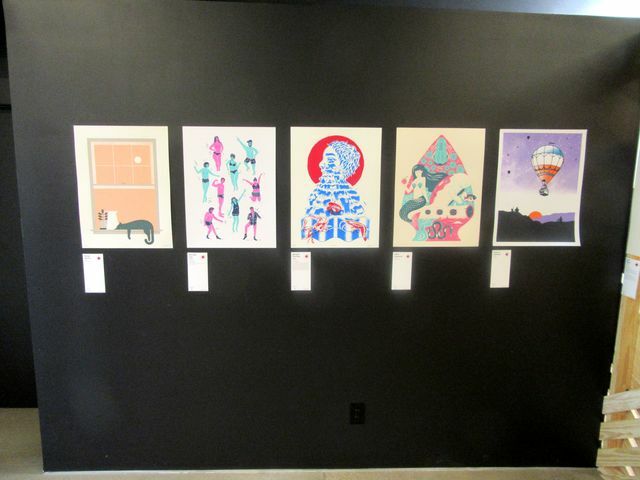 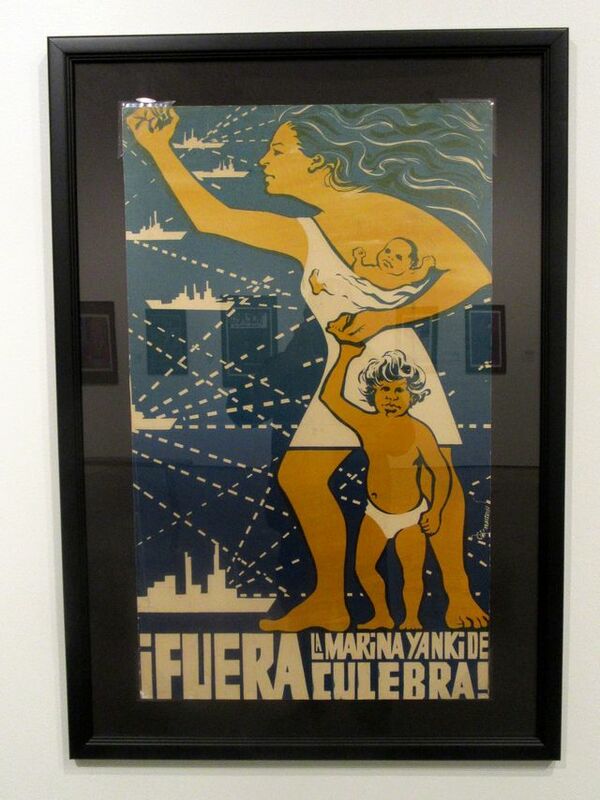 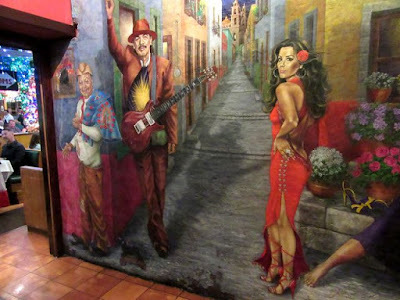 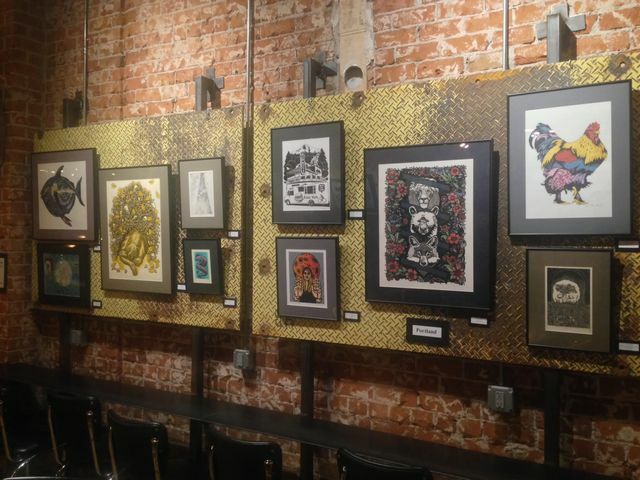 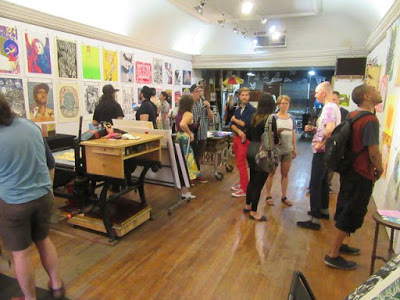 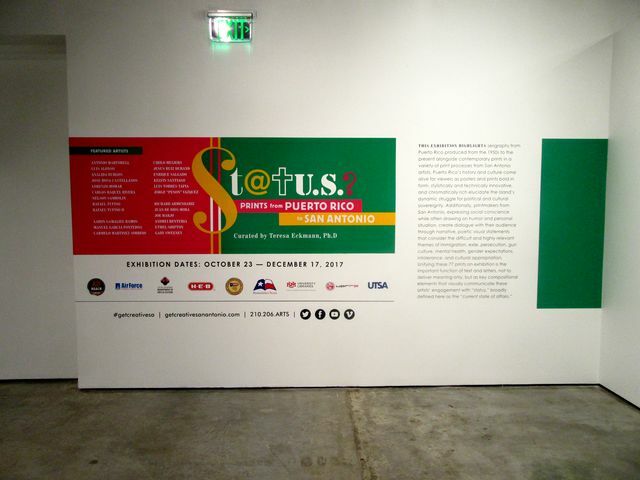 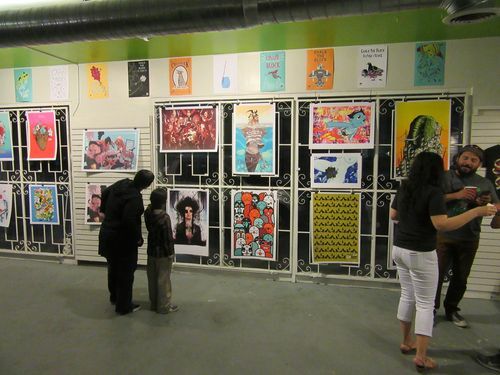 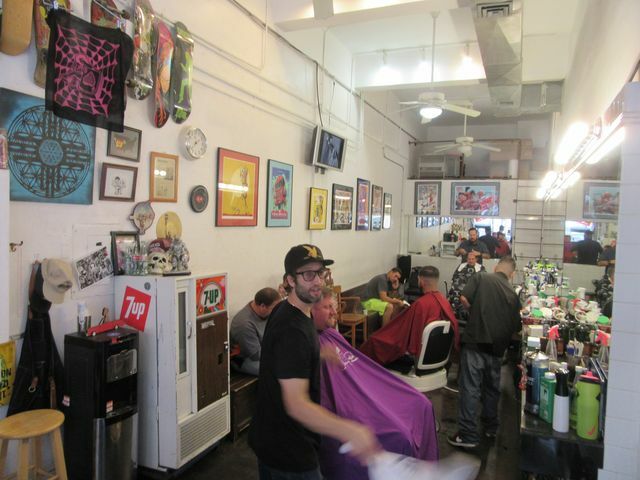 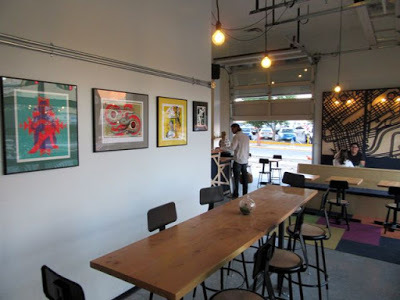 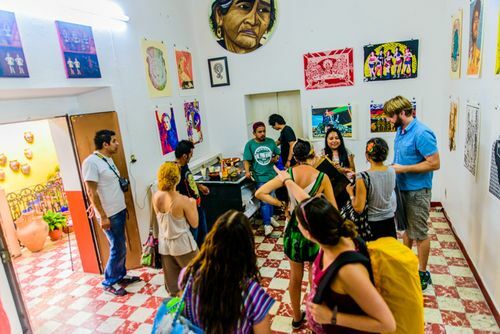 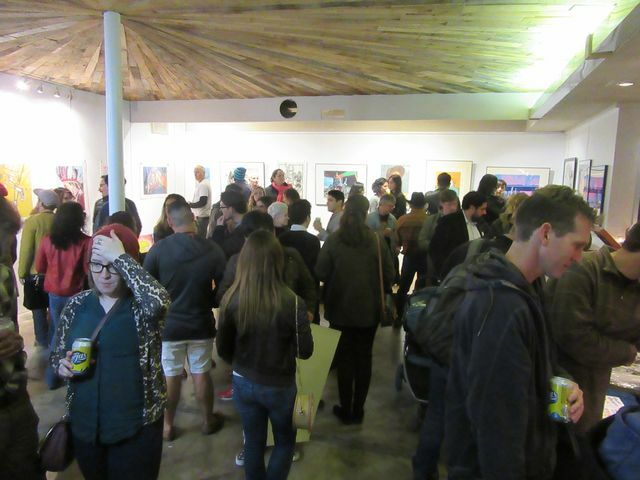 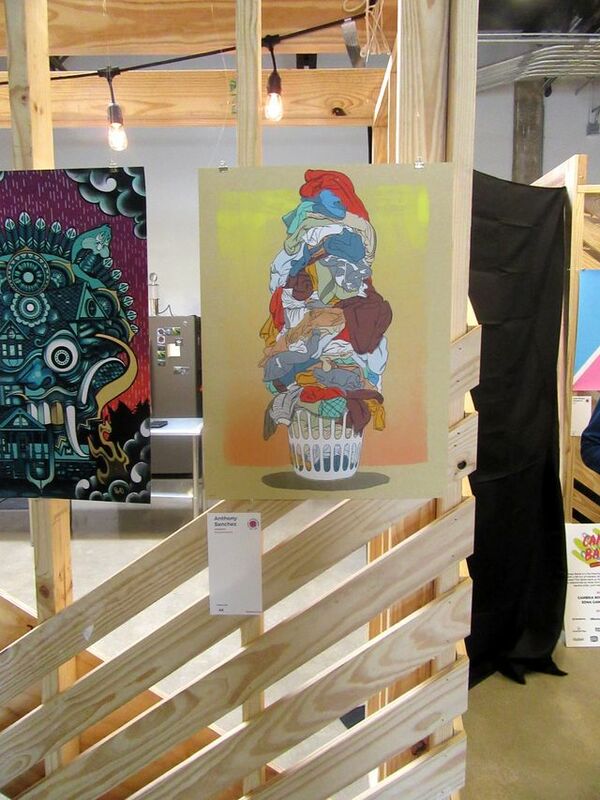 featured a lot of serigraphs by Puerto Rican artists, and a few prints by San Antonio artists we know. 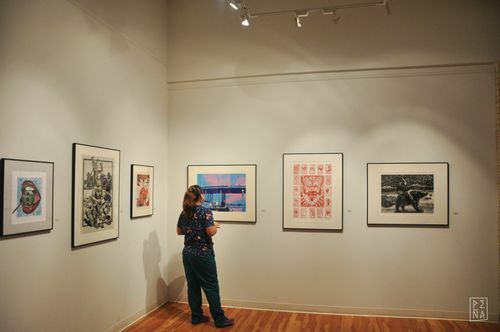 Lot of the prints were on loan from the Sam Slick collection at UNM. 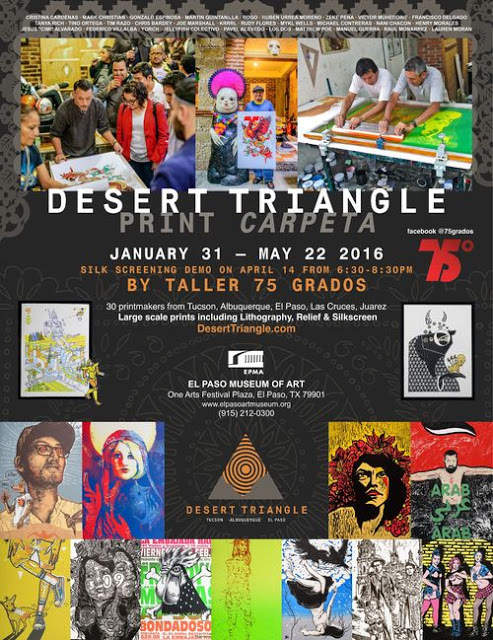 They were especially interesting to see, considering that many of our Desert Triangle prints are serigraphs of about the same size. 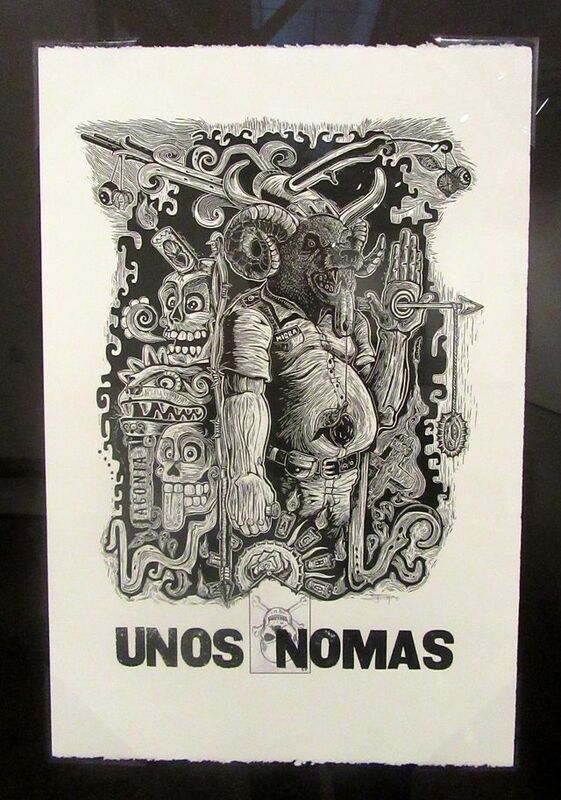 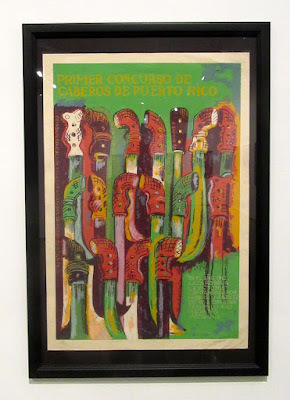 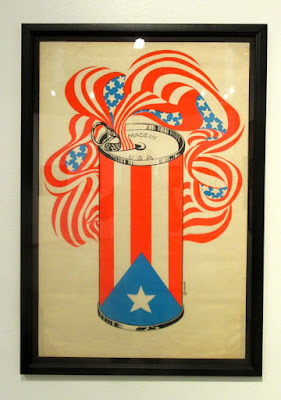 Get the Yankee Marines out of Culebra"
First Congress of Machete Heads in Puerto Rico"
"Unos Nomas (Just a Few)"
The Desert Triangle Print Carpeta has been exhibited from Oaxaca to Chicago, so far! 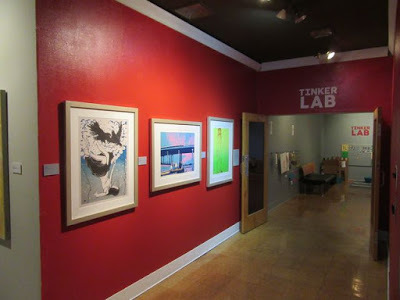 Three of the prints were showing as "New Acquisitions"
"Like in Japan -- prints by Taller 75 Grados"
a year after our Desert Triangle show at the El Paso Museum of Art. 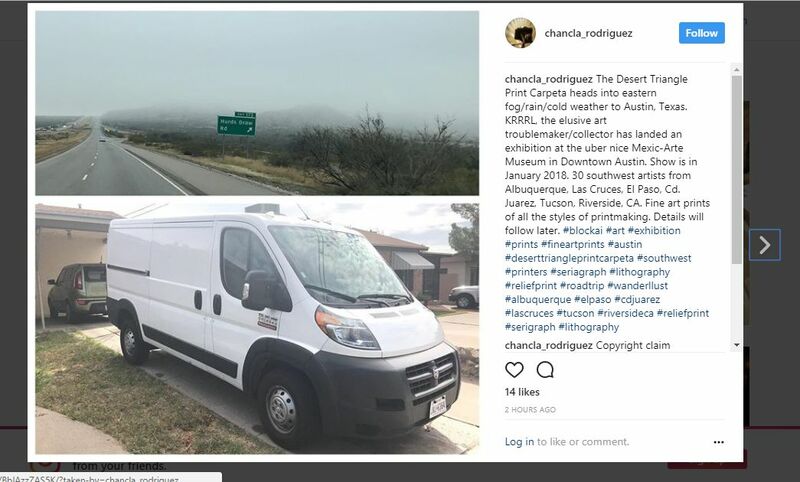 that had to be shown! 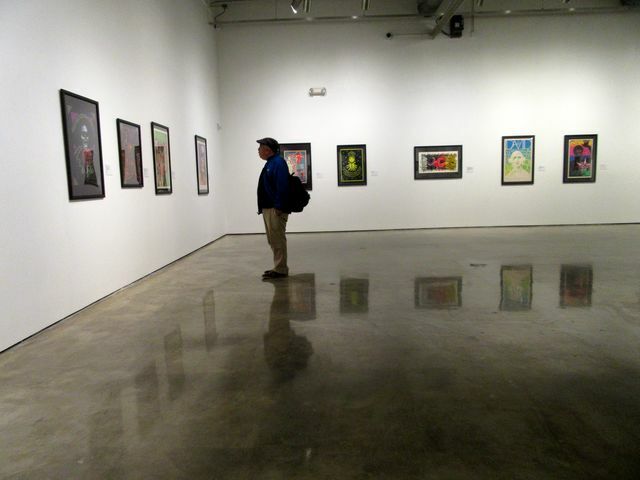 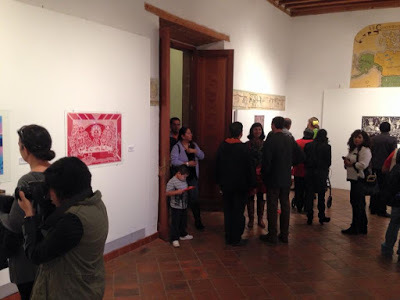 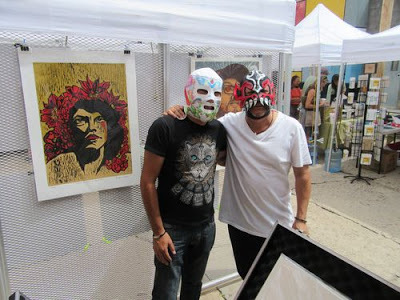 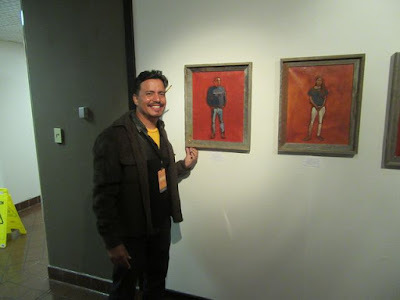 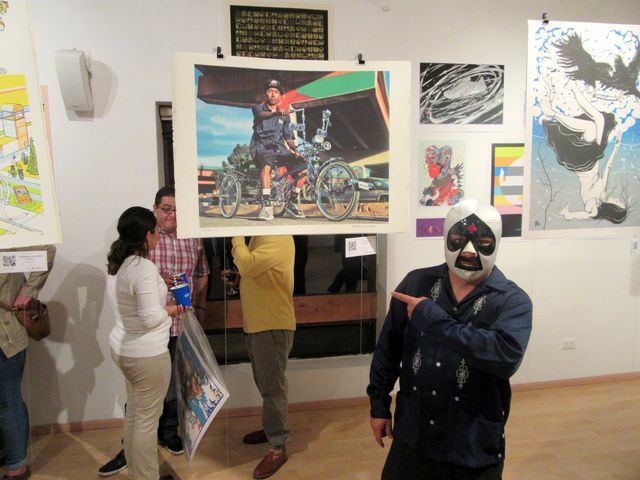 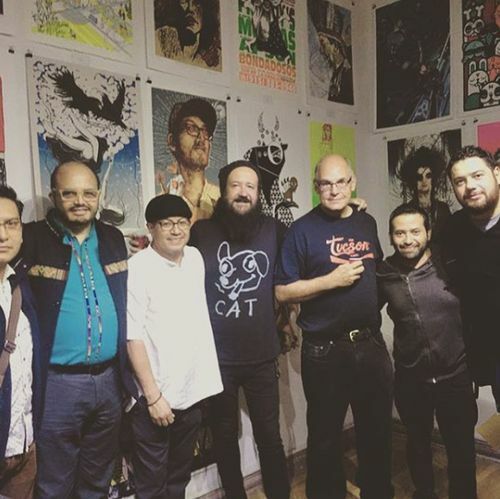 "From Behind the Wall -- Prints by Contemporary Mexican Maestros"
and had to show them! 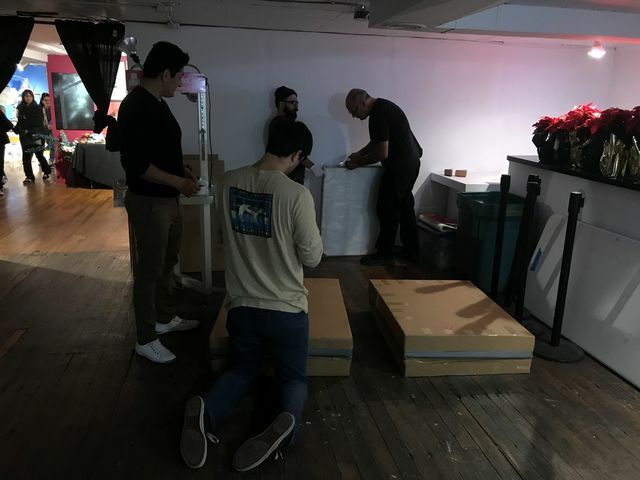 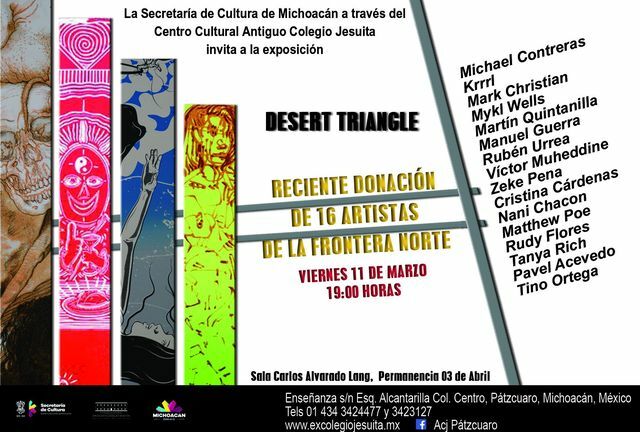 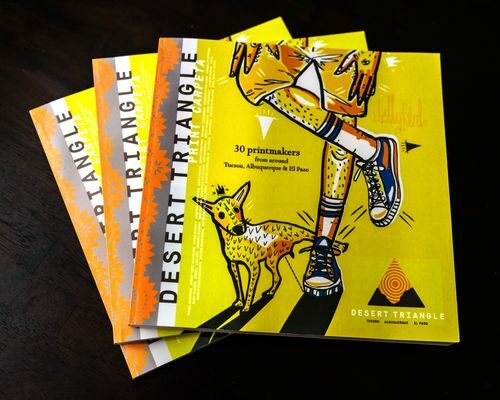 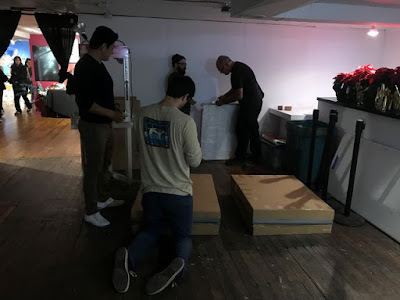 "Desert Triangle presents: Contemporary Mexican Prints"
And a special thanks to Federico Villalba, without whose support the Desert Triangle would never have gotten this far.